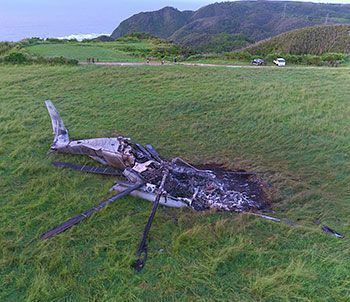 As of 7:00 a.m. on October 12, the charred remains of a U.S. Marine CH-53E heavy-lift transport helicopter belonging to the U.S. Marine Corp Futenma Air Station cast a miserable sight the night after it burst into flames due to a forced landing on pasture in Takae, Higashi Village. U.S. military vehicles arrived at the site at around 1:20 a.m. on October 12. 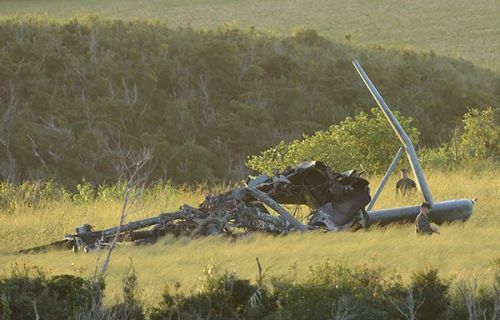 In the morning, U.S. soldiers walked around the wreckage of the burned-out helicopter. 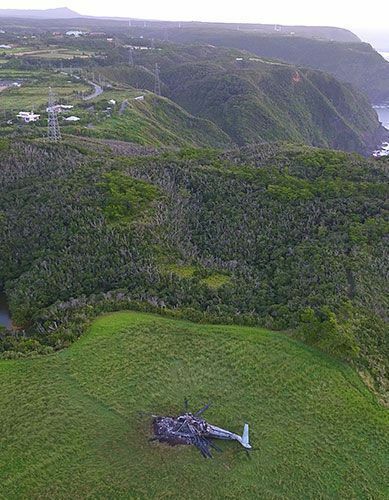 A Ryukyu Shimpo photographer took photos of the helicopter using a drone. 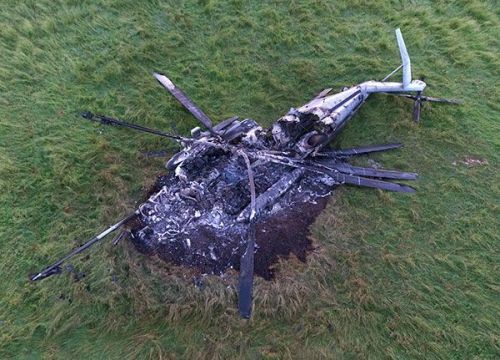 It was confirmed that the helicopter had been burned to black and the fire had spread to surrounding pastures. The cockpit was smouldering and burnt without a trace. It was confirmed that there were residential areas several hundred meters away.